By now probably each and every major smartphone manufacturer has showcased their part of 2015 leaving Apple, if we keep the Ipod thing aside. 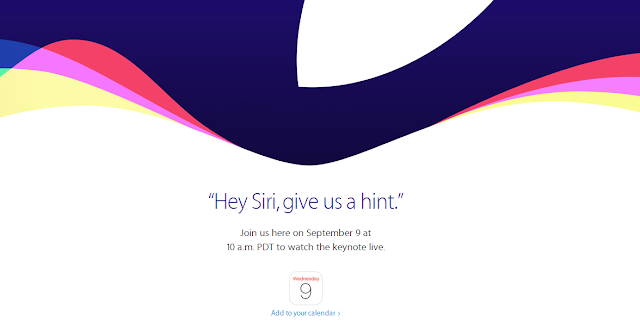 Just this week Apple made it official that there'll be an event happening on Sept 9,2015. Mostly this date in specific is traditionally known best for New iPhones. Yes, Iphone's with the whole "plus" things going on. While now if you're on Windows you can watch the livestream directly, how? Let's find out more about it. As we know by far 3 company's have already introduced their Latest operating systems essential for their products. As all those OS's are in Beta stage, Apple might actually be the first to introduce iOS9 & OS X EL captian on their event next month. Apart from that software updates to even Apple watch might be introduced, even though there's no official word on that yet. 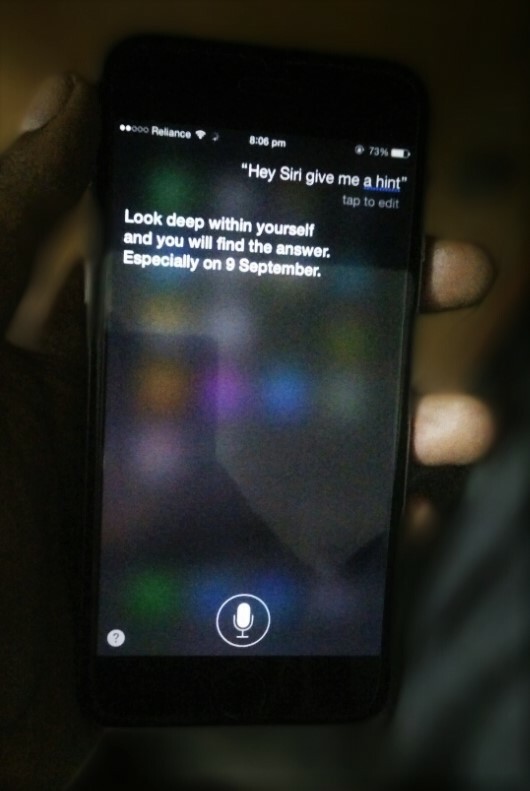 To which Siri would respond : " look deep within yourself & you'll find the answer, Especially on 9th Sept." Frisky, Siri. Apart from that 2 iPhone's might launch with the familier "S" interpretation in a typical Apple fashion. I'm guessing IPhone 6S & 6S Plus. Nothing much apart from the chasis has been leaked but it seems like the displays will have Force Touch technology, which allows force-sensitive touches of what we've already seen in Apple Watch (Taptic Engine) & Recent Macbooks. What is Force touch ? It basically allows users to interact with a device by applying certain amount of varying pressure to the display (Apple Watch) or trackpad (Macbook). On Apple Watch, a typical Force Touch(Basically Tapping & holding on harder) triggers actions such changing watchfaces, emojis.etc Although it's rumoured that on iPhone, force touch might be incorporated within messaging app, like when you receive any link in a text message- a force touch would help previewing a link, giving you a basic snapshot of the content. The so long rumoured " iPad Pro " might even make it's first appearance on the event. However it would be interesting to see how Apple tackles the Bendgate issue with their Bigger Iphone Model. Buzzfeed & 9to5mac claim that a new Apple TV might emerge & will feature Siri integration, an iOS-like interface & support for third-party applications to your TV that could run natively on your Apple TV. Additionally, a new remote with a touch-pad, new streaming service is also expected. Part of what, we've already witnessed in Android TV. It's really hard to predict without any leaks or any official information. Apple's event will be at San Francisco's Bill Graham Civic Auditorium on Sept 9th at 10AM PST. As the auditorium is big, expect some big news. On top of that if you don't have an Apple device, there's no need to hop onto Youtube to watch videos ported over anymore! As Apple will officially stream the event onto devices running Windows 10(Microsoft Edge) via iTunes. Which is if, you can't make it to the event. Spoiler : All those considering buying an iPhone should probably wait till next month. Also See : iOS 9 Explained !